A delegation of Business (Team Entrepreneurship) students from Bishop Grosseteste University (BGU) travelled to Finland last month to meet with fellow entrepreneurs from across the globe. 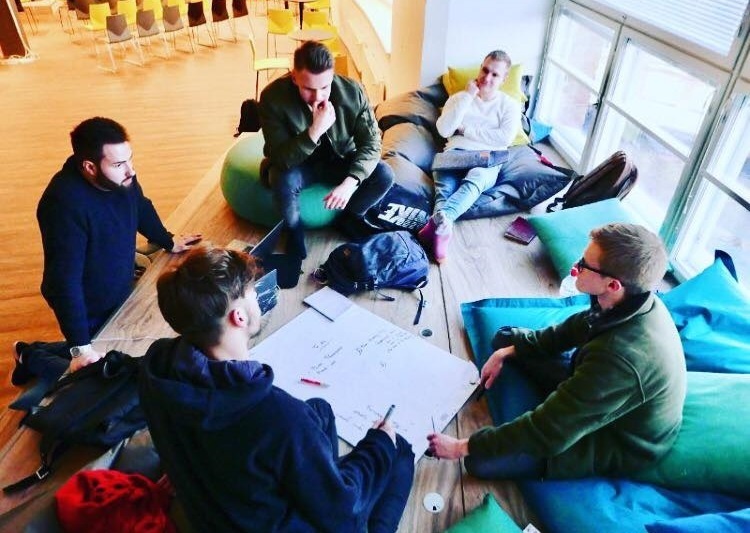 Members of Kinetic BGU Ltd., the company run by BGU students as part of their course, began their visit with a two day workshop in Tampere with Proakatemia, a local Team Academy. In addition to presenting their projects to each other the two teams shared business advice and solutions before examining the potential for joint ventures in the future. As a result one such venture has already been put in motion and BGU student Max Bouer will begin working alongside members of Proakatemia to organise international events for students in the coming months. Following the workshop the trip culminated in a ‘Team 4 Learning’ event, which celebrated 25 year of the Team Academy Initiative. Held in the city of Jyvaskyla, the birth place of the Team Academy Initiative, the event offered an opportunity for international networking with team academies from across the globe in attendance. Since becoming a part of the BGU degree portfolio, the Business (Team Entrepreneurship) course has become well regarded and BGU are delighted to have been asked to host the next international Team 4 Learning meeting in 2019. You can find out more about our Business (Team Entrepreneurship) course on our website or by contacting our Enquiries Team.